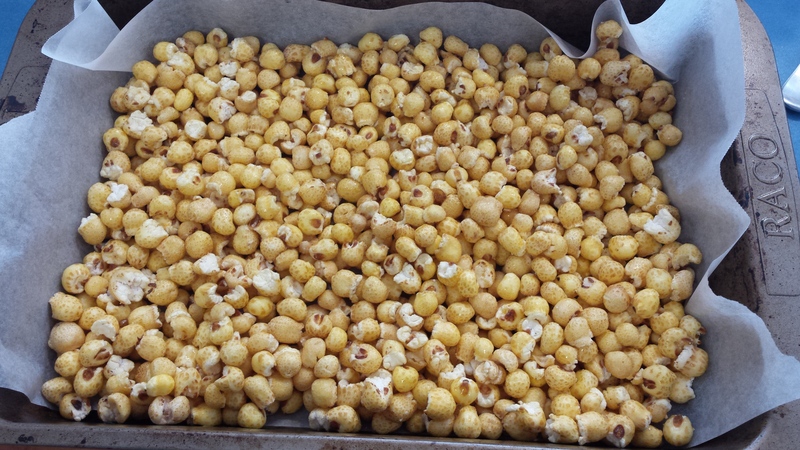 I’ve seen a few versions around for sweetened puffed corn so I decided to give it a go. It was super simple and very well received – happy kids! 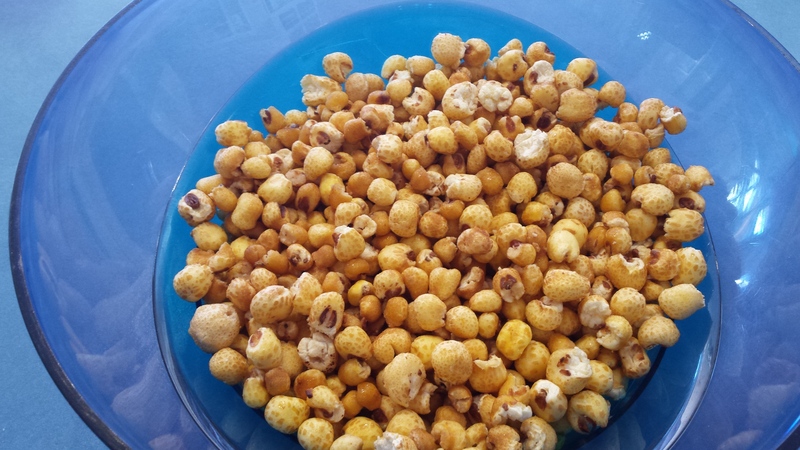 In a large bowl melt together the Nuttelex and syrup. Add the corn to the bowl and use your hands to mix until the puffs are thoroughly coated. Place in a lined baking tray and cook in a 150C preheated oven for about 15 minutes. Allow to cool and store in an air tight container for a few days.